May is Mental Health Awareness month. 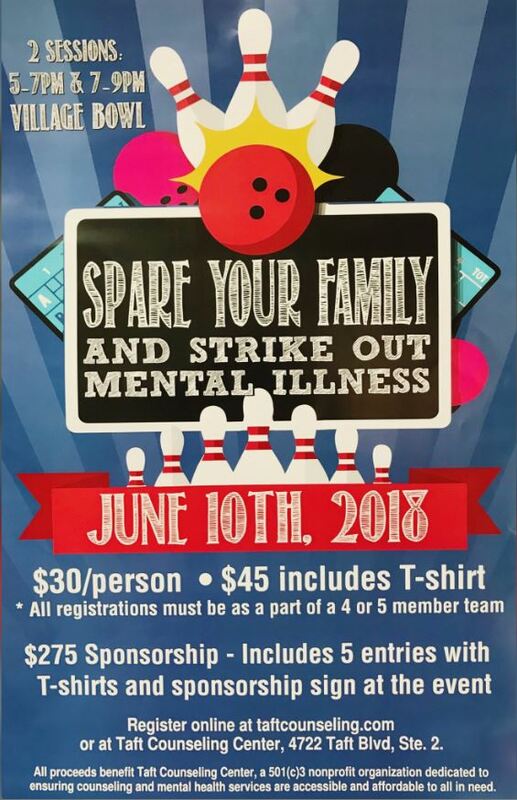 Come have some fun and help us Strike Out mental Illness. 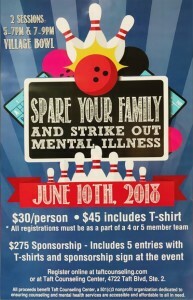 This fundraiser is to benefit Taft Counseling Center, a non-profit 501c3, so we can continue to provide mental health services for those in the Wichita Falls community and the surrounding areas. Bowl on teams of 4-5 people. If you are unable to attend, you can show your support and donate toward this worthy cause!